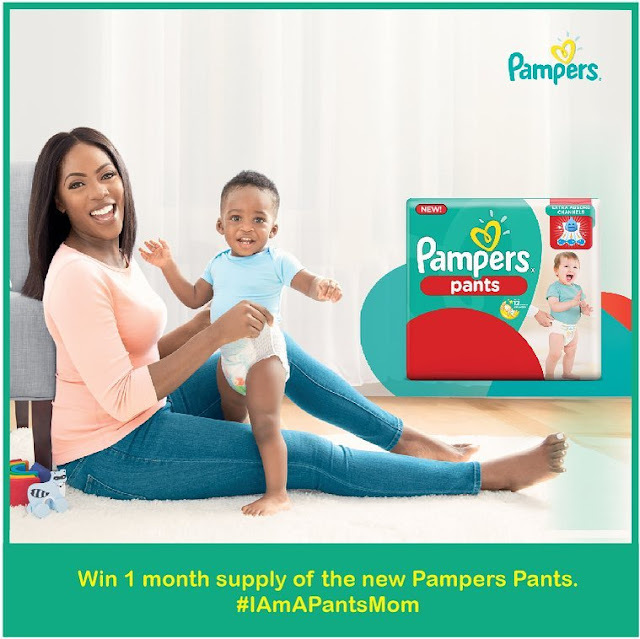 Win 1 Month Supply of Pampers Pant in #IAmAPantsMom Challenge. Hi Moms, #IAmAPantsMom Challenge IS HERE! Share your experience with the new Pampers Pants and win up to 1 month supply of Pampers Pants. 1. Tell us why you love the new Pampers Pants. Share your experience. 2. Use hashtags #PampersPants #IAmAPantsMom. 3. Tag 3 other mommy friends to take part in the Pants challenge. Winners will be selected weekly by a panel of judges.